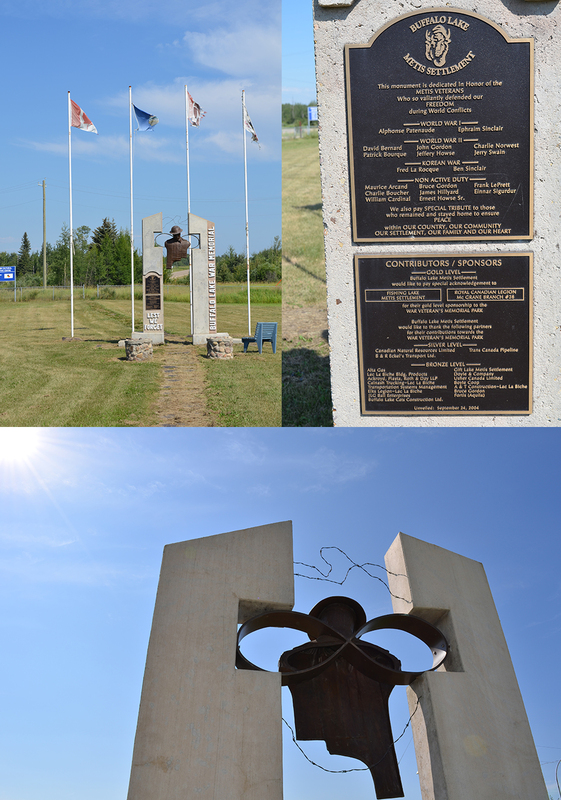 Neighbouring Kikino is Buffalo Lake Settlement, an area originally called “Beaver River Colony #7” that was set aside by the government’s Métis Rehabilitation Branch for Métis war veterans returning from World War II. 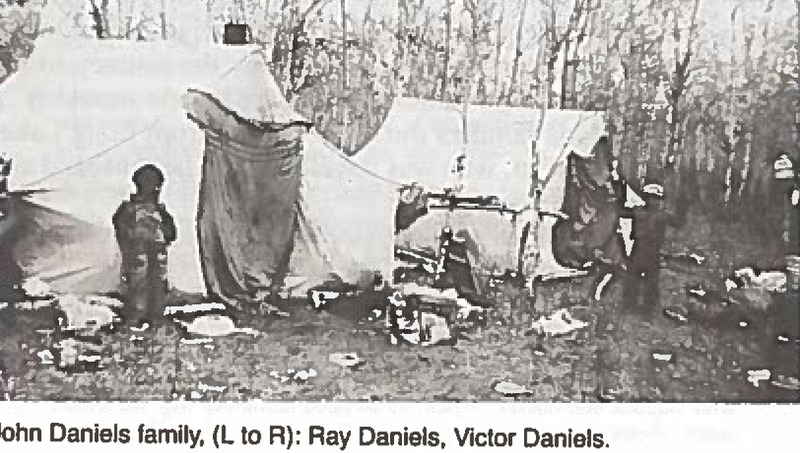 These veterans, however, mostly chose to return to the areas where their families were already living and therefore the territory remained largely unsettled until the 1950s when it was officially opened following the registration of a small number of Métis settlers through the Kikino administration office. 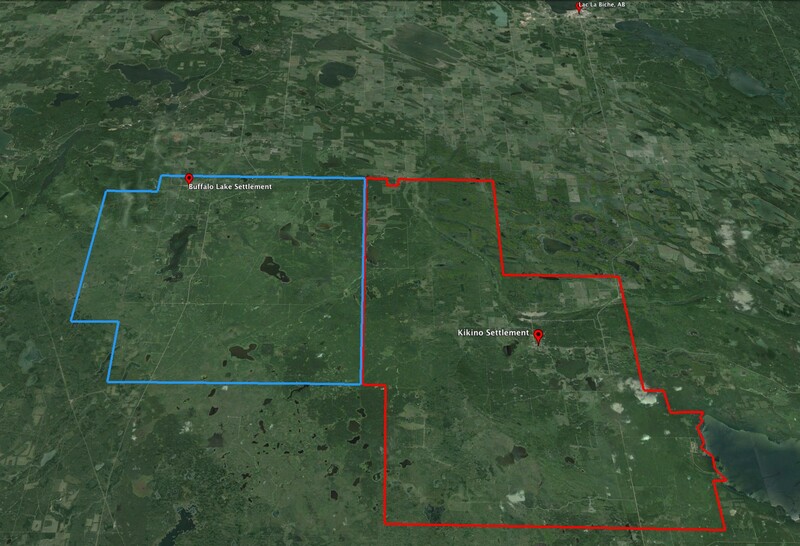 The Buffalo Lake Métis community of the 19th century, however, bears little resemblance to the one that exists today. Roughly 70 years separated the abandonment of the site (following the decline of the fur trade and the economical shifts of the region) and the reestablishment of the Settlement. 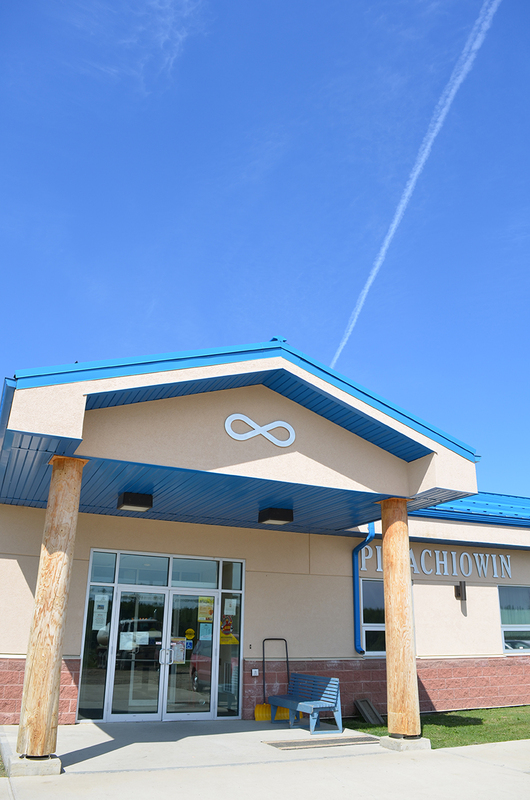 Today, the community has grown and proudly exhibits, for example, a new administration building and Cultural Interpretive Centre that sits next to the creek and atop a subtle hill. Infrastructure manager Bruce Gordon explained that an aboriginal person named Durocher designed the building and though they originally wanted it on the lake to be next to the water, it was too far from their other facilities. In walking the site, they took notice of the view from the hill; “It’s a nice spot to be sitting up here. You know I think the aboriginal people always like to see what’s around them…which was nice because of the lay of the creek here, in behind here, we’re actually going to develop some spot at the bend in the river where people are going to sit and enjoy their coffee or cigarette or whatever.” (6) One of the leading factors in receiving the funds to build the facility was that it is heated by geothermal. As Gordon proudly notes, “…we do have Mother Earth heating this place. 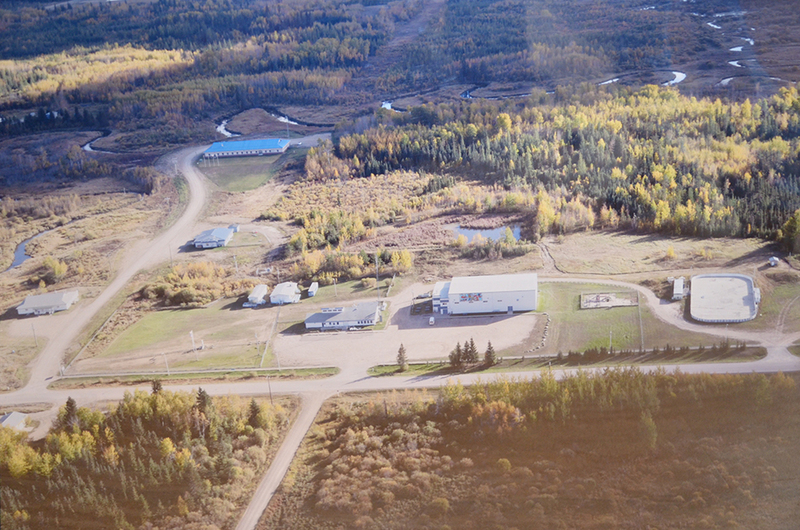 We have…about 20 holes drilled here on the north side of the building.” (7) The community is also currently considering adding solar panels and have a water treatment plant using compressors to aerate their ponds. Gordon is also considering wind tribunes. Though the building is rather straightforward in its design, a few details embrace the symbology of Métis culture at Buffalo Lake. 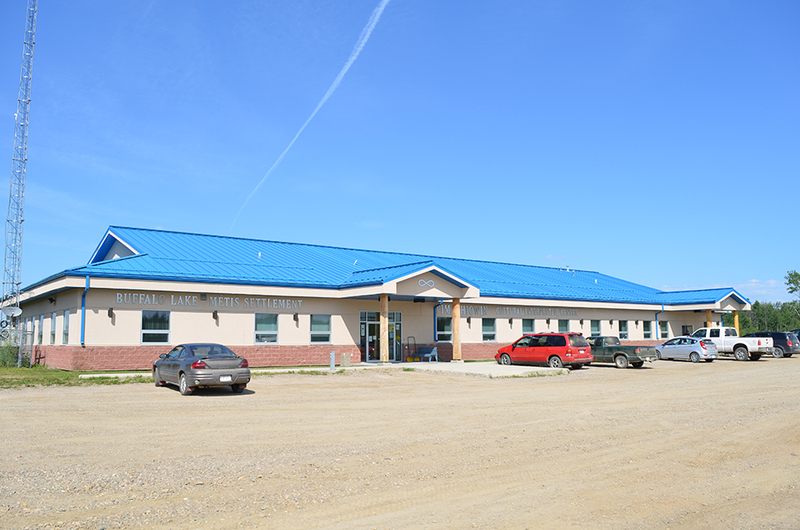 The blue standing seam roof of the administration building against the Albertan sky, for instance, recalls the Métis flag itself, while the flooring inside the main office embalms the settlement’s logo and two rough timber posts mark the main entrance. 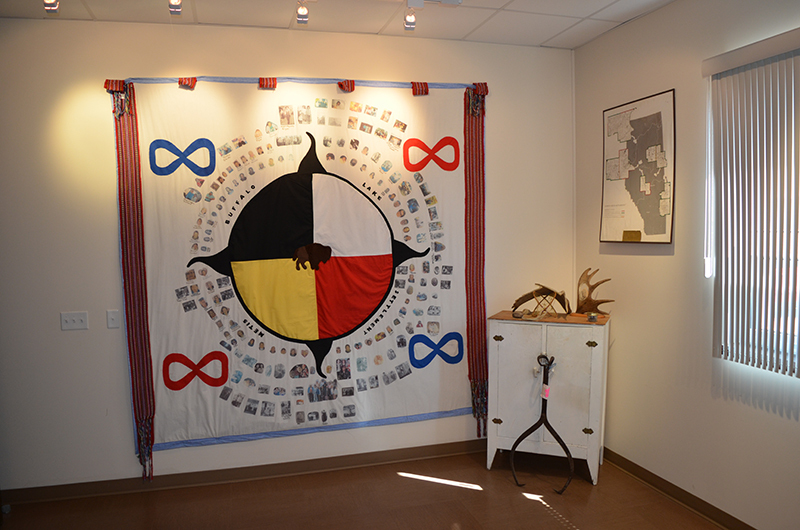 Inside the cultural centre is a small gallery including a quilt inspired by the community’s history, as well as a number of artifacts related to the history of the community. Spaces, though many not in use yet, were designed to hold workshops on Métis art and music, for instance. Similar to the other settlements, however, the history of the built environment at Buffalo Lake is also deeply tied to log construction. 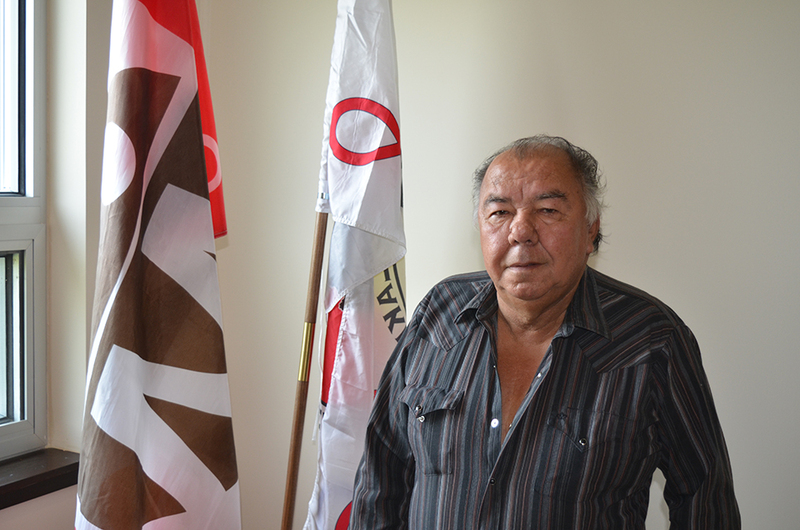 Elder Glen Auger recalls living in a log house with a sod roof as a child. He also distinctly remembers his and the other families at the time, pitching tents while they built their homes in the 1950s. According to Auger, they built their homes out of logs with tar paper roofs, and used grass and mud, before painting them with white lime. They used 1″ x 6″ rough lumber for flooring and white tar paper on the interiors, like wall paper. They used axes and saws (buzz cut) as tools, and he remembers working with fellow community members (a requirement of them for their residency) to build a log school with a large 100 gallon barrel water heater. He particularly remembers the tall windows in the school. Verbicky further notes that a year long delay in construction due to lack of material nearly caused the government-appointed Supervisor, A. C. McCully, to withdraw their Family Allowance. McCully issued the following statement: “It is your fault that there is no school and unless you immediately turn out and finish the school and supply the teacher with plenty of fuel, I will be forced to take the matter up with the Superintendent of Family Allowance and have your payments discontinued.” (9) This interaction between the supervisor and the residents with regards to the school is a glaring example of the paternalistic relationship between the government and the Settlements during their foundational years. 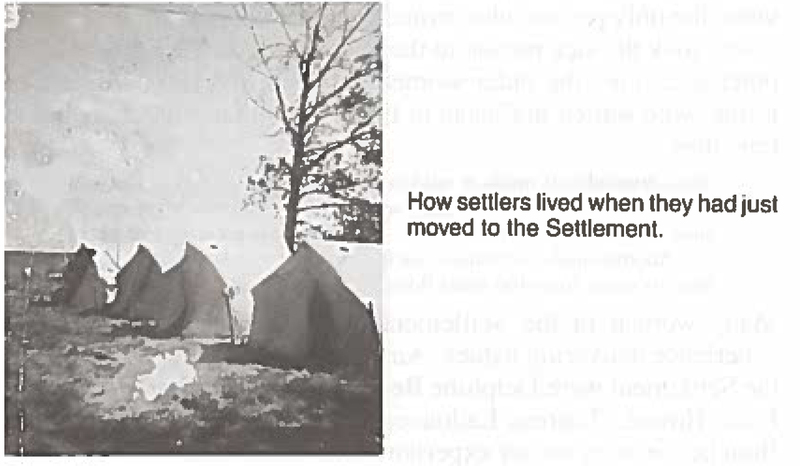 Similar to the other settlements, this paternalistic relationship extended to the homes offered to residents. Gordon recalls his experience of obtaining his home as such: “I did want a log house and I had a place overlooking the lake…the way I want to live actually…in the wilderness. Not way in the wilderness, but back in the bush where there’s peace and quiet and animals and birds…[but] I didn’t get to build that log house.” (10) Instead, explains Gordon, the options offered by the government and the allotted budget were, and are, most often the determining factors for the design of buildings in the Settlement. 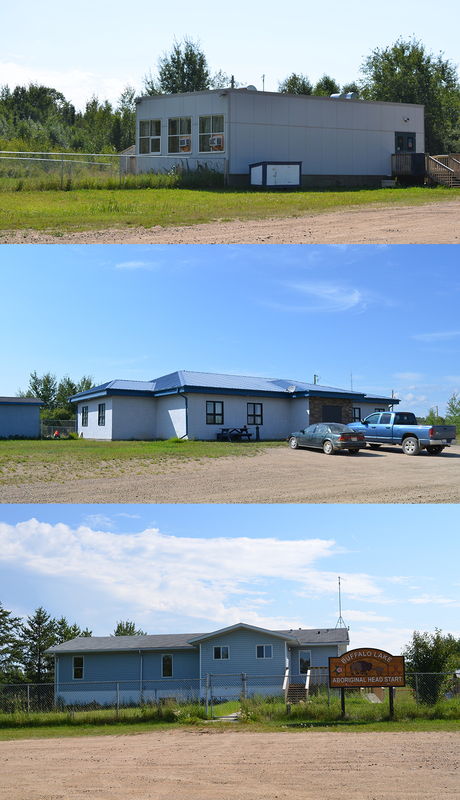 Gordon’s comments about the homes at Buffalo Lake seemingly resonates with many of the other buildings here and on the other settlements – buildings that generally perform in terms of thermal comfort and water protection, but there is often a sense of disconnect between them, the culture, and the landscape. Yet, as I have discussed in an essay for the Society for the Study of Architecture in Canada (see future post), although the mural is an excellent example of participatory art and community spirit, it is also an excellent example of the complete failure of the architecture to identify with the community on its own. Gordon’s description clearly indicates the community felt no connection to the recreation centre or its presence in the community, and while there are sound examples of buildings that have taken great strides in achieving this, including some of the houses, schools, and administration buildings I have documented on this blog, for example, there are also many missed opportunities for the built environment (residential, industrial, public, etc.) to better weave itself into the cultural pride and aspirations of the Métis people. (1) Doll, M. F. V., Kidd, R. S., and Day, J. P. 1988. The Buffalo Lake Metis site: A Late nineteenth century settlement in the parkland of central Alberta. Edmonton: Alberta Culture and Multiculturalism Historical Resources Division. p.9. (4) Verbicky, E. (ed.). 1984. 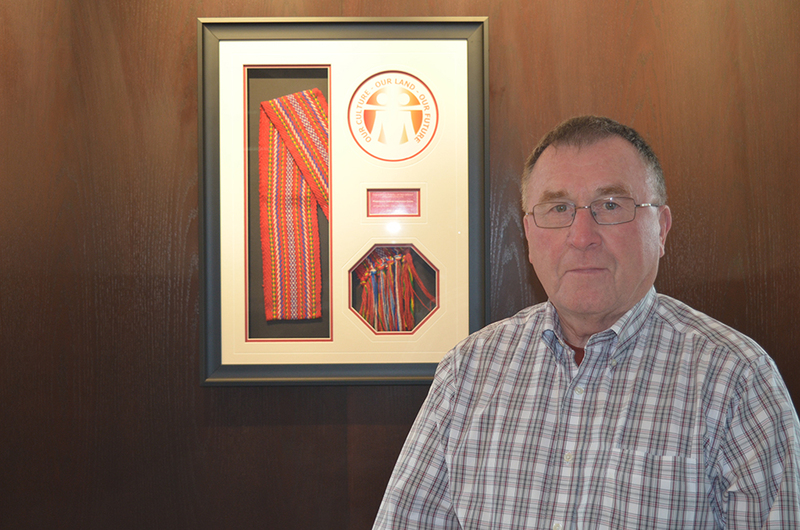 Life and Times of the Metis: A History of Caslan Metis Settlement. Edmonton: Alberta Federation of Metis Settlement Associations. p. 18. (6) Personal interview, August 8, 2014. (8) Verbicky et al. p.21-2. (10) Personal interview, August 8, 2014. (13) Personal email, July 14, 2015.